Would you benefit from assistance in handling the daily stream of student data and reporting? Your answer is probably yes. Well, imagine you had a digital assistant to help drive you through the world of education. An assistant with a simple interface. An assistant that neatly packages information, streamlines data, and provides quick access to your most coveted tools and reports. Sound promising? We think so. 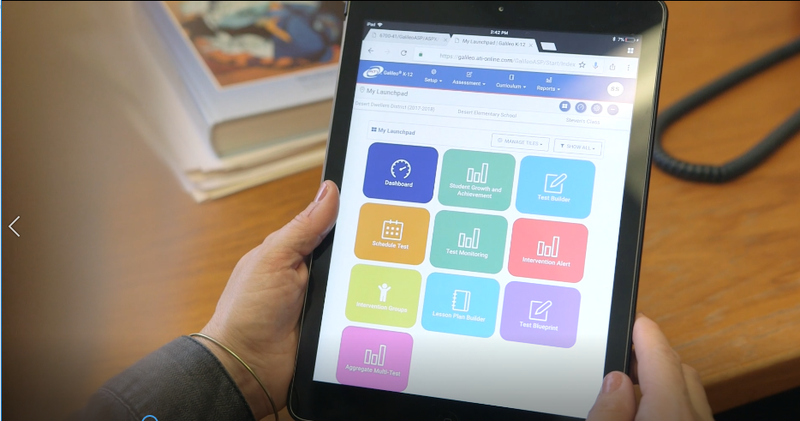 The Galileo Launchpad is an easy-to-use interface that acts as a digital assistant for students, parents, and educators. It’s intuitive, colorful navigational tiles provide direct access to popular Galileo tools and reports, and it’s customizable to fit your personal needs and preferences. The interface page layout is both an art and a science. Knowing this, we’ve chosen a design that’s both visually attractive and undeniably simple. Don’t mistake its simplicity for lack-of-power. Underneath the Galileo Launchpad’s sleek interface lies powerful tools and reports that allow you to do everything from monitoring and scoring student tests to running Student Growth and Achievement Reports. 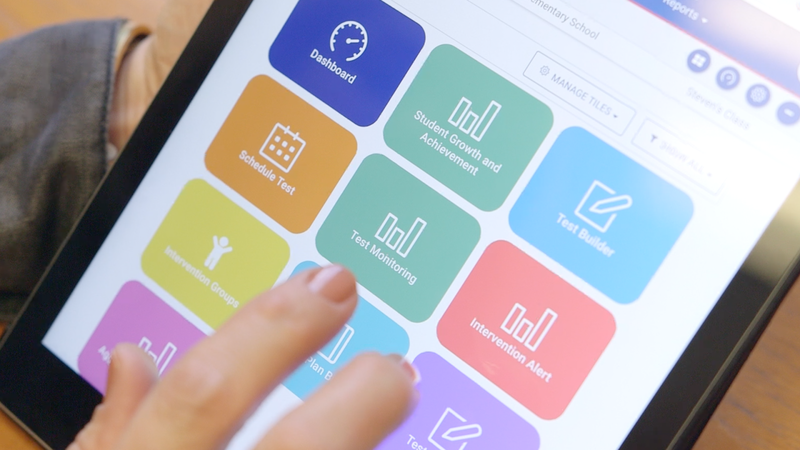 Through the Galileo Launchpad, educators can build and schedule tests, set up intervention groups, plan lessons, access their Dashboard page, plus much more. Getting started is easy. When a user signs into Galileo, they’ll be taken directly to their own Launchpad where they’ll find several default navigational tiles. The default set of tiles includes the most commonly used Galileo interfaces based on the user’s role as a teacher or administrator. Users can personalize their Launchpad by adding tiles for other Galileo interfaces, creating their own tiles with links to external websites, or deleting tiles. At the stroke of a finger, users can also change the color, icon, and order of the navigational tiles. Educators are busy professionals with endless to-do lists. More importantly, they must abide by local and state-level requirements to ensure our future generations receive the best education possible. This means being able to capture the right data at the right time and using it to make decisions that improve student performance. Galileo Launchpad is the digital assistant that brings these capabilities to your fingertips. Check out the our website to learn more about Launchpad and Galileo K-12 Online.